Chick-fil-A may be best known for serving a mean chicken sandwich, hot waffle fries and that oh-so-delicious Chick-fil-A Sauce, but our restaurants are also known for another secret sauce: our friendly team members. Maybe they’re happy because of easy access to chicken nuggets, or maybe it’s because they simply love serving customers. We are audacious enough to believe that a restaurant filled with exceptional, passionate team members committed to serving others can make our community a better place to live. If you like the sound of that we’d love to meet you. 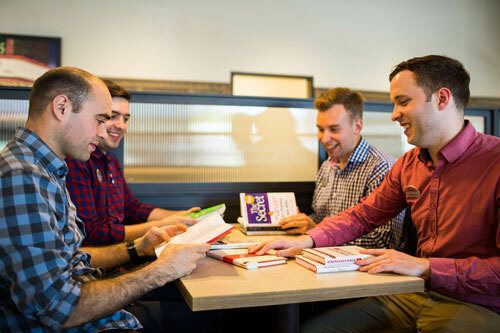 Spend some time behind the counter in any Chick-fil-A restaurant, and you’re guaranteed to hear laughter, good-natured ribbing and lots of encouragement. 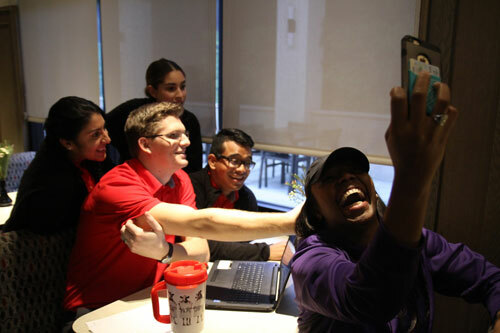 Because the culture is one of support and camaraderie, many Chick-fil-A team members make friends for life! The majority of our restaurant owners — more than 60 percent, in fact — have Chick-fil-A experience. Whether you want to be a Chick-fil-A Operator or have dreams that lead you to pursue a career outside the restaurant business, working at Chick-fil-A can lead to opportunities for lifelong personal and professional growth.